Take a cruise across Lake Wanaka to the remote Mou Waho Island Nature Reserve and make a memorable, eco-friendly impact by planting a native tree before you leave. 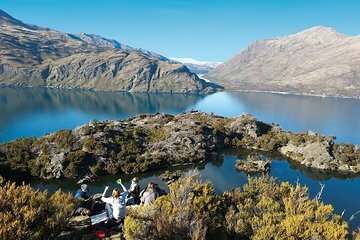 Opt to take a 1-hour-return guided bush walk to reveal Mou Waho’s hidden secret - another lake, nestled atop the island with panoramic views of Wanaka and the Southern Alps. Enjoy “high tea” surrounded by this spectacular alpine scenery. Tour departs from the Jetty next to the Marina in Lakeside Road, Wanaka New Zealand.